Confused by all the thread options out there? Jennifer Keltner and Elizabeth Tisinger walk you through choosing the right type of thread for your project. "Hi, I'm Jennifer Keltner with American Patchwork & Quilting and I'm here in the sewing lab with Elizabeth Tisinger. And today, Elizabeth, we're going to talk about why choosing the right thread for your project is important." "It's one of those things that you really don't think about until you've made the wrong choice. So taking just a little bit of time at the beginning can result in a better finished project and more time sewing." "Which is great. So let's talk first and foremost about what you want to look for in choosing a quality thread. You want a fiber that's strong, consistent, smooth, with very low lint." "So basically what you're saying if you pull it out and you can see slugs and lint and fuzzes, it's not the best thing to use, because it can cause lint build-up in your machine, inconsistent stitches, or even the thread breaking." "That's right. So if you' have a pile of thread from your grandmother's or mother's sewing basket or something you found in the bargain bin, that's cute but put it in a jar and use it for display. Don't put it in your sewing machine." "It did take me a long time to learn that thread really is worth the investment." "And let's talk a little bit about fiber content, as well. It used to be that we thought there was only one option: 100% cotton. 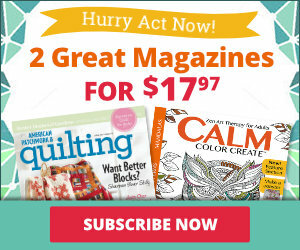 But today's new technology has really resulted in a lot more options for quilters. It could be polyester, poly-cotton blends, nylons, or cotton and really, I think the new technology across the board has resulted in smooth, consistent threads that allow for more precise stitching. 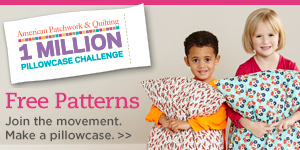 So the option is up to the quilter. You need to evaluate for yourself which thread might work best for your project." "Well, I love all those options, so let's talk about a few of them." "Alright, today we've got an assortment of threads from Coats & Clark that we're going to be showing you, and these are some of the spools." "And really when you go into the quilt shop to choose your thread, everything you want to know is basically on the end of the spool. So the spool is going to tell you the size, the weight, the type, usually the fiber content. Some threads are even color-coded, like these ones from Coats & Clark. For instance, the white cap spools are all-purpose threads, the lavender spools are fine-weight threads, the tan spools are heavy-weight threads and then the pink spools actually say hand-quilting right on the end of it so you know the use right there." "So once you've taken a look at the spool it's important to remember that you need to know what you're going to be using the thread for. And that's what we're going to be talking about next. What you're using the thread for is an important consideration in choosing the right thread for your project. And for many quilters that means doing machine piecing. All-purpose thread is a great choice for machine piecing. And today the samples we have to show you are from Coats & Clark Dual Duty XP thread." "And all-purpose thread really is the best choice for piecing because it comes in so many colors, and it resists wear and tear and multiple washings very well." "And we stitched up a sample here today of a seam in contrasting thread, but if you were choosing the thread for your project, you'd want to choose one that matched your fabric exactly or that was a shade darker than your fabric because when you stitch it into your seam allowance it's going to appear a little lighter than it does on the spool." "Another option for piecing is a fine-weight thread. This thread is thinner and light in weight but is still strong. If you are piecing blocks that have lots of seams in them and there are intricate piecing, you might consider fine-weight thread, because it takes up less room in the seam allowance and results in more precise blocks -- something we all want." "That's right. And one of the things I love most about the all-purpose threads that are available today is the range of colors they all come in. From super dark to super light, you'll find almost every color you could ever want to match your project, really something that could fit your project to a T. whether you're doing machine piecing or if you're doing the wearables, bag, or the applique projects that we do today." "That's right. For instance, if I'm sewing a lime green bag and I want a bright lime green thread, that's available in the different bright colors. Or if I'm working with antique or vintage or kind of faded fabrics, I can choose from tints, which are basically white with just a drop of color in them. Another great choice, which I buy a lot of, are multicolor threads. One thing I use these for is for applique, and I like my applique stitching usually to show up, so I'll do a decorative stitch like a blanket-stitch. And the multicolor thread, whether they are subtle color changes or very contrasting they provide just the great pop on machine applique." "It is a great look. I think there are more than 340 colors alone in the Dual Duty XP range, so you can really find something you'll love. But usage is important there are other usages for quilts beyond all-purpose and fine thread that you'll find at the quilt shop, too, and we'll talk about those coming up next. Another common use for lots of threaded projects is with machine quilting and when you go to the store you'll often find machine-quilting thread marked on the end of the spools, so that you know its use. And you'll also see different type spools such as these. Often it comes in the larger spool because you use so much thread when you're machine quilting and it's very economical. But beyond these two types of threads (these happen to both be 100% cotton), it's also available in polyester, poly-blends or even nylon." 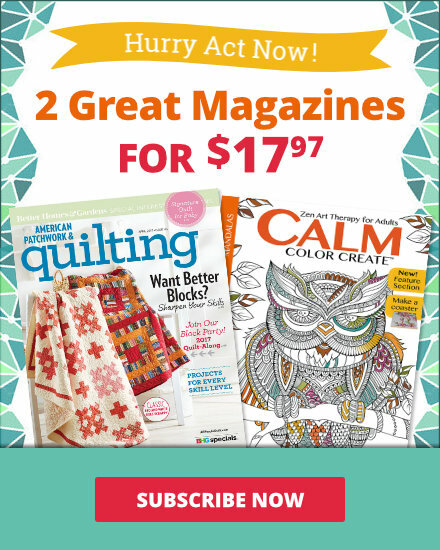 "And it's important to consider the end use of your quilt when choosing the fiber content of your machine-quilting thread. So if I were making a kids quilt that's going to get a lot of use and wear and tear, I might choose a polyester or poly-cotton blend because it's more durable." 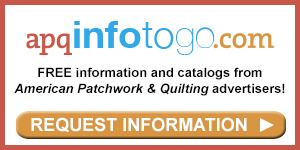 "Or if you're making an heirloom quilt, you might consider the more traditional choice of 100% cotton thread for that. Now beyond machine quilting, there are also special threads made just for hand quilting." "And I think one common mistake that beginners make is that they try to use hand-quilting thread in their machine. Hand-quilting thread has a glace or a waxed finish, and it's great for preventing tangles while you're hand-stitching, but it really doesn't belong in the machine." "We hope we've taken some of the mystery out of choosing the right thread for your project. It really is that simple. Just consider the type and weight of the thread and what you're using it for: piecing, quilting, or embellishing." "And once you know you have the right type of thread, then the fun of choosing the great colors can begin."